Bull & Dog Garage specialise in new, high performance and budget tyres. We offer excellent value for money and won’t be beaten on price. Please contact us today for a quote. We offer Free Tyre Checks! Tyre sizes are detailed in the following way. 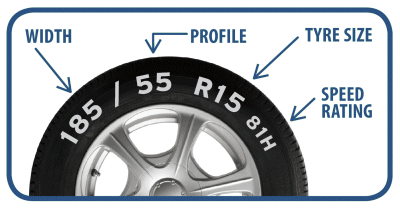 Don’t worry if you don’t know your cars tyre size, call in to see us and we can tell you. 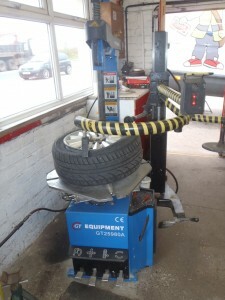 We also offer wheel tracking, wheel alignment and wheel balancing.